I came across these photos while searching through the Life Magazine photo archives for the 1962 issue with a Pewaukee Skeeter on the cover. 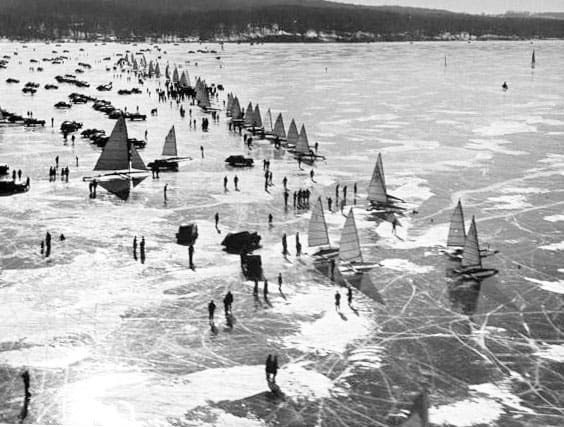 It brought me back to a few weeks ago, sitting on Bill and Mauretta Mattison’s lake side porch with a group of old friends who gathered to reminisce about the stern steerers MENACE, MARY B, and Madison iceboating history. Bill shared the story of the time he crewed for Jim Lunder on FRITZ at the 1948 Northwest and how they won the regatta. The last A stern steerer race was sailed in dimming light at the end of the day. 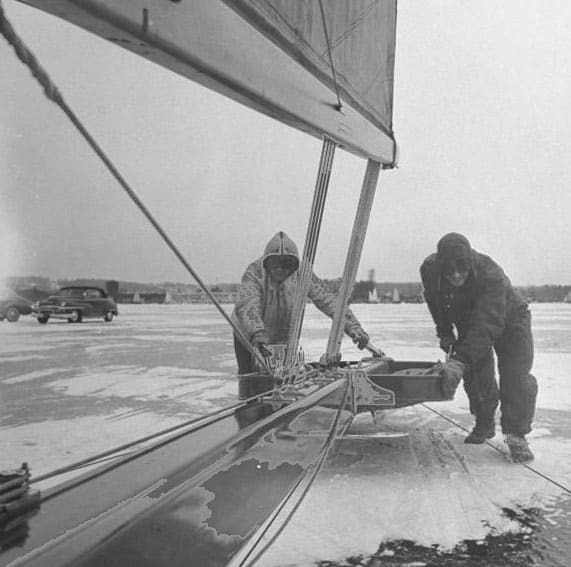 During the race, Bill and Jim sailed into Williams Bay which was not a good place to be sailing an iceboat in near darkness because at that time, ice was harvested there and slabs of ice were piled all over the bay. 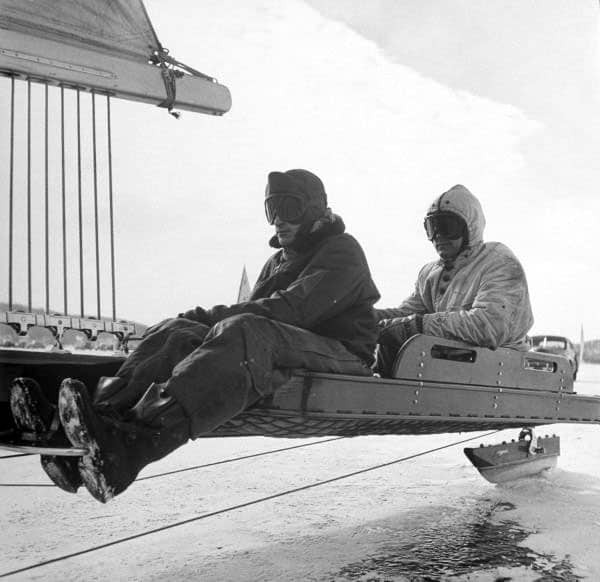 With a lot of luck, Jim Lunder piloted the FRITZ around the ice blocks without hitting them and made it to the finish line in the darkness. Life’s photos from that regatta are posted here. 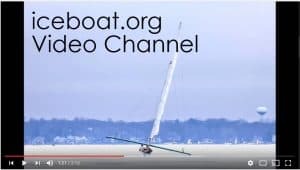 Northwest regatta winners posted here.